Ok…say that three times fast! 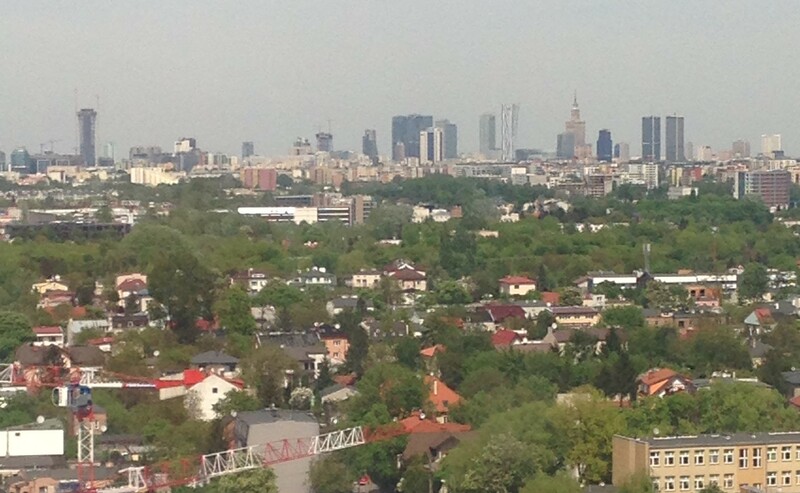 Warsaw was the first Polish city I saw…and that was by air when I was coming in for a landing at the airport. Looks like a typical big city. In May when I came to surprise my husband for his 60th birthday, I only got a view from the train…riding from the airport on a train and then taking a train out of the city. On the way home because our flight left so early in the morning (6:30a.m.) and because it’s an almost 4 hour train ride from Bydgoszcz, David drove us to Warsaw and we spent the night. 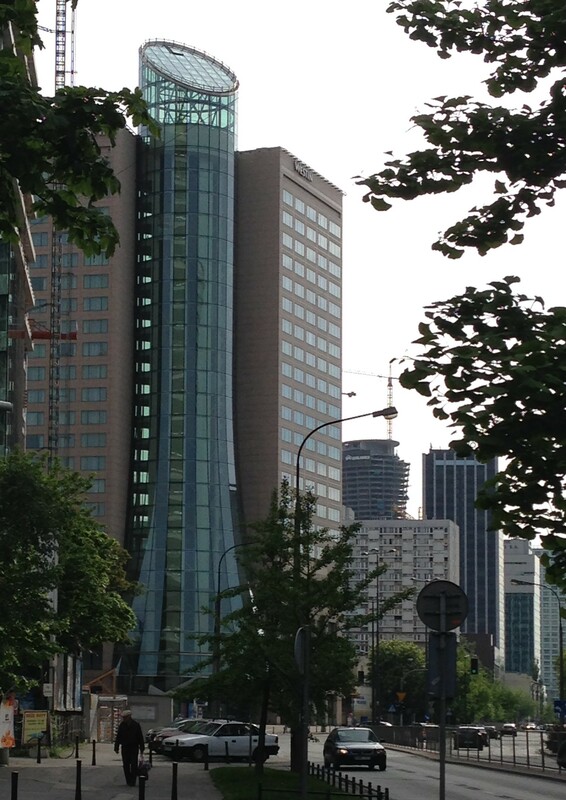 But we got in a little bit of sightseeing as our hotel was about a 20 minute walk from the Old Towne in Warsaw. It was a few months ago (which is why you’ll see people wearing coats), but I’d like to go back sometime and explore some more. 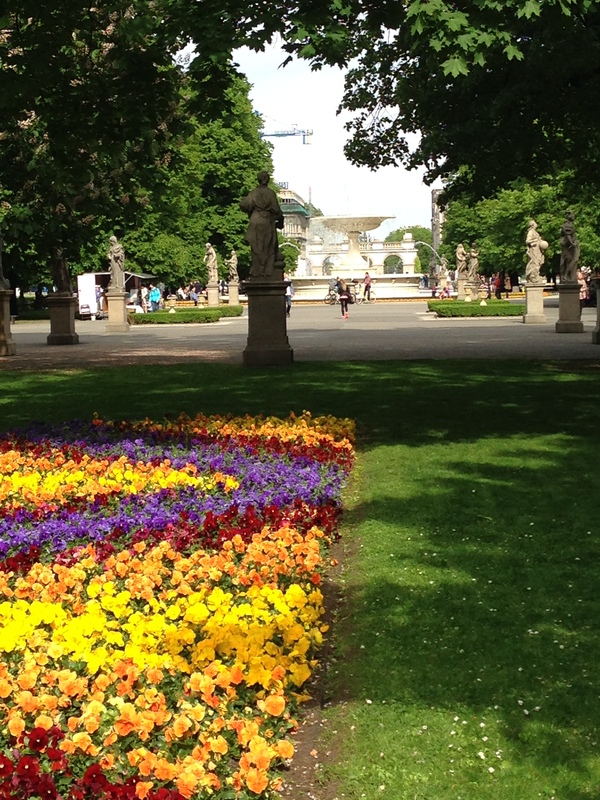 We walked from our hotel (that round tube on the outside is a glass elevator) and discovered a huge park along the way with beautiful flowers and a fountain. But at the other end (it’s a few city blocks long) is their version of the Tomb of the Unknown Soldier. In Polish that would be: Grób Nieznanego Żołnierza. It’s has a flame and is guarded by Polish soldiers, only they don’t walk back and forth like at The Tomb of the Unknown Soldier at Arlington Cemetery. 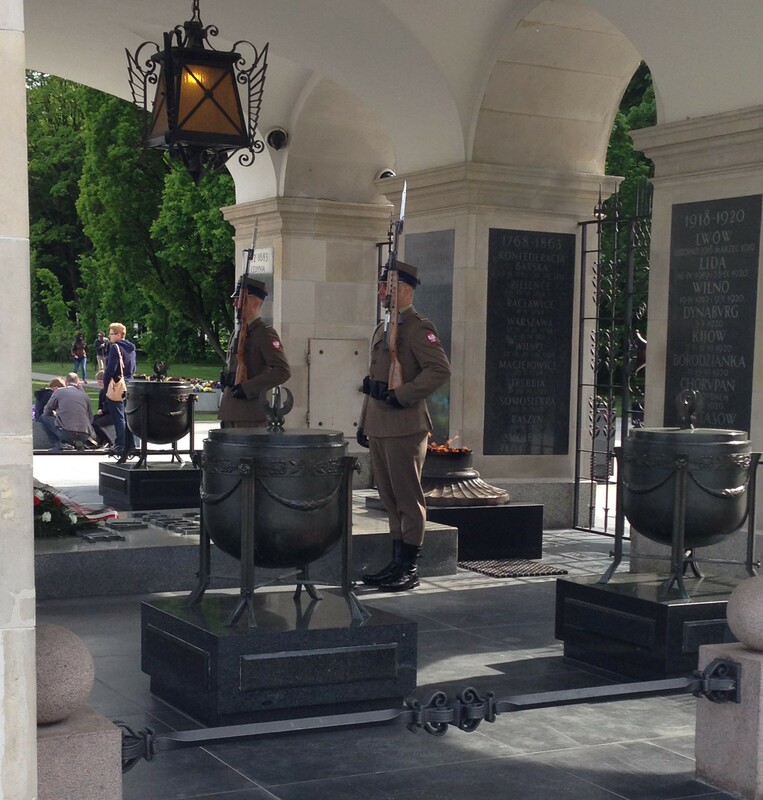 The stone tablets with the dates bear the names and dates of battles in which Polish soldiers fought. A few more blocks and we were in the Old Town Market Place. 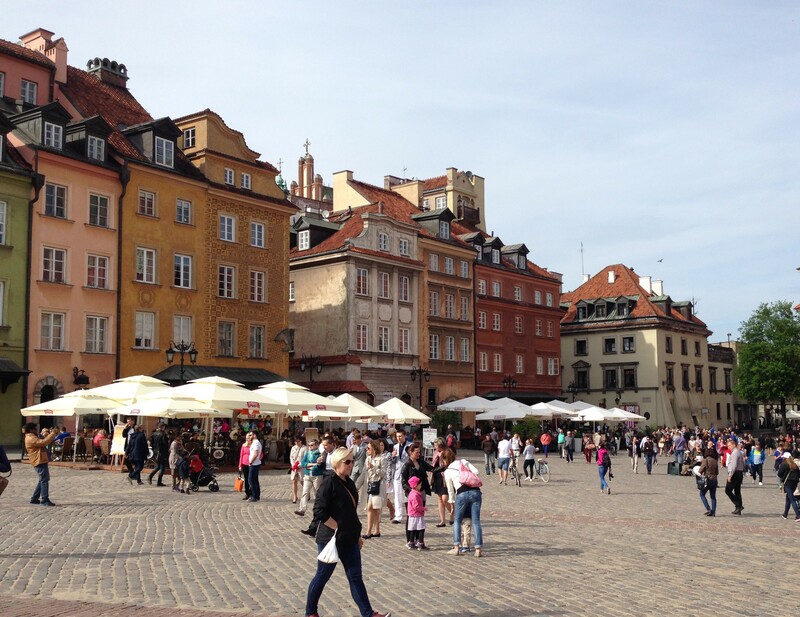 It’s at the center of the oldest part of the the capital city of Warsaw. The original buildings (built in the 16th century) were destroyed during World War II when it was blown up by the German Army. The buildings were reconstructed between 1948–1953, to look as they did in the 17th century when it was mostly inhabited by rich merchant families. And now it’s a major tourist attraction. 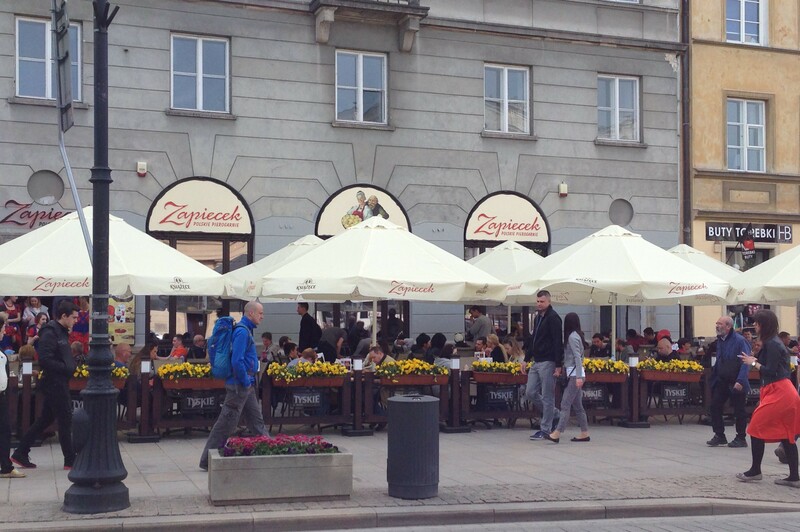 with lots of restaurants like this one that specializes in pierogi (yep, that’s the plural spelling). It’s considered a national dish in Poland…it’s a handmade dumpling made out of unleavened dough and can be stuffed with mashed potatoes, meat, fruit, and then boiled (sometimes fried). I am not a fan….it’s like eating raw, chewy, tasteless dough. I’ve only had boiled ones…maybe they’d be better fried. My husband however, loves them, especially the dessert ones filled with strawberries! There were also a few balloons. 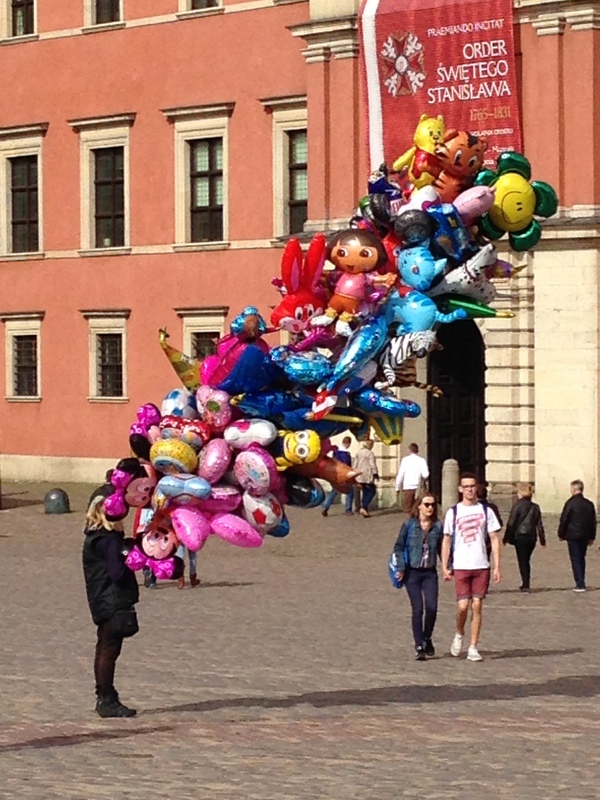 It was pretty windy that day and I thought the balloon lady was going to be carried away like in the movie “UP”. Alot of American influences here–Did you see Minnie Mouse and Dora the Explorer?, Bugs Bunny and Winnie the Pooh? and even a Minion!). 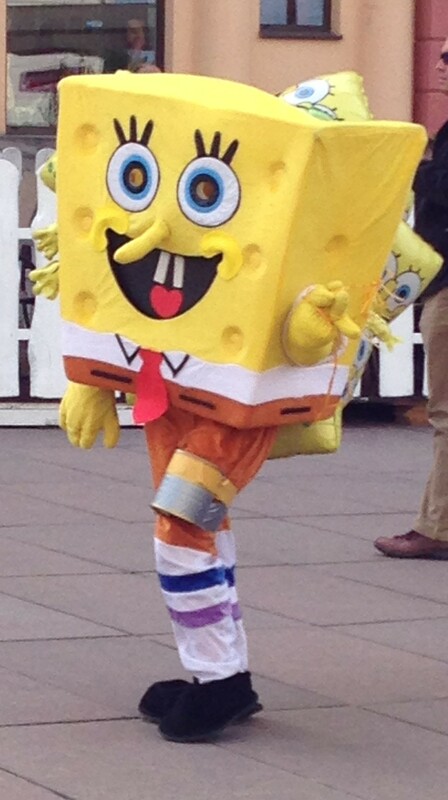 And can’t forget to mention that we ran into Sponge Bob Square Pants too!